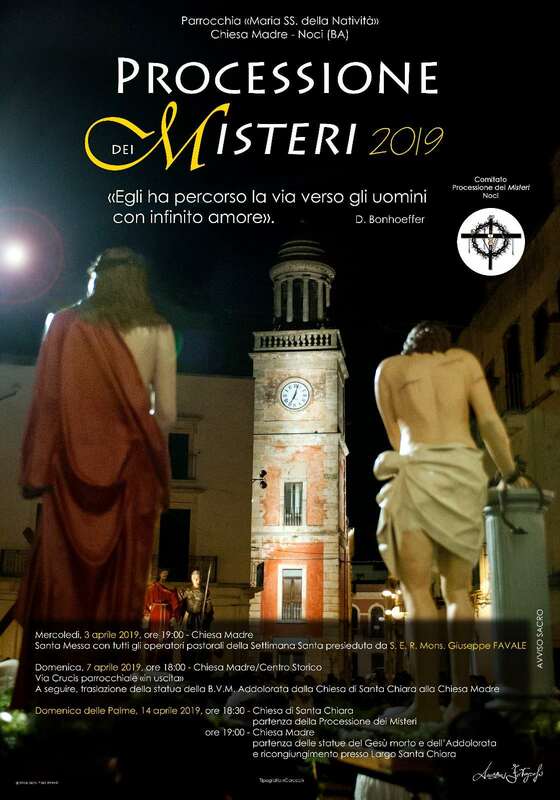 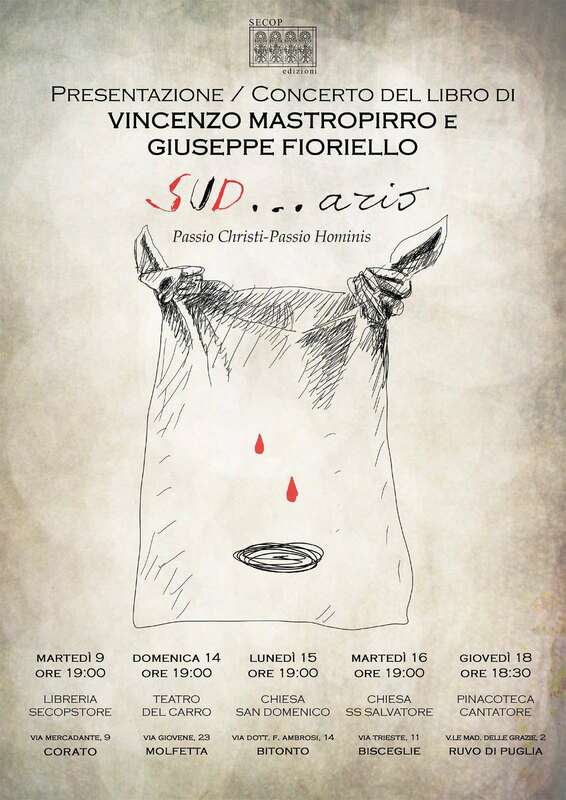 On the other corner of Apulia, in Martano, the procession of the statues of Jesus Christ and Our Lady of Sorrow, is opened by living “paintings” starting with the statue commemorating the entrance of Jesus to Jerusalem. 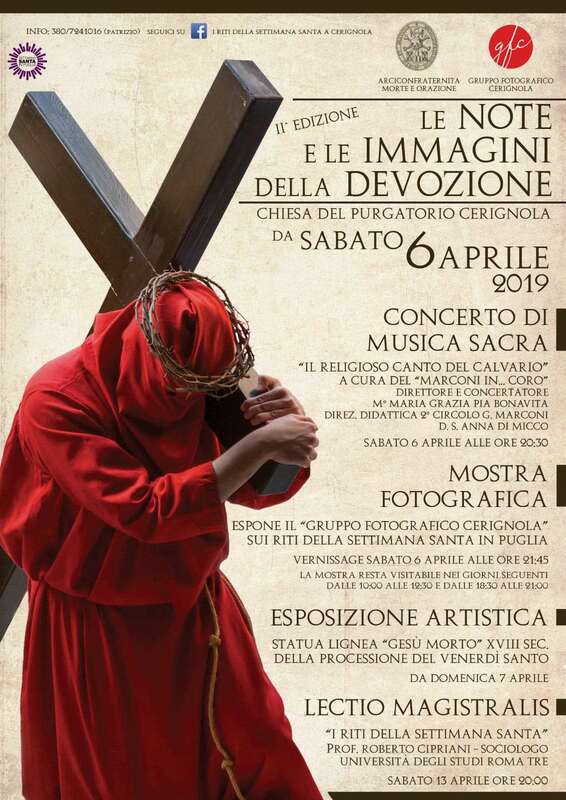 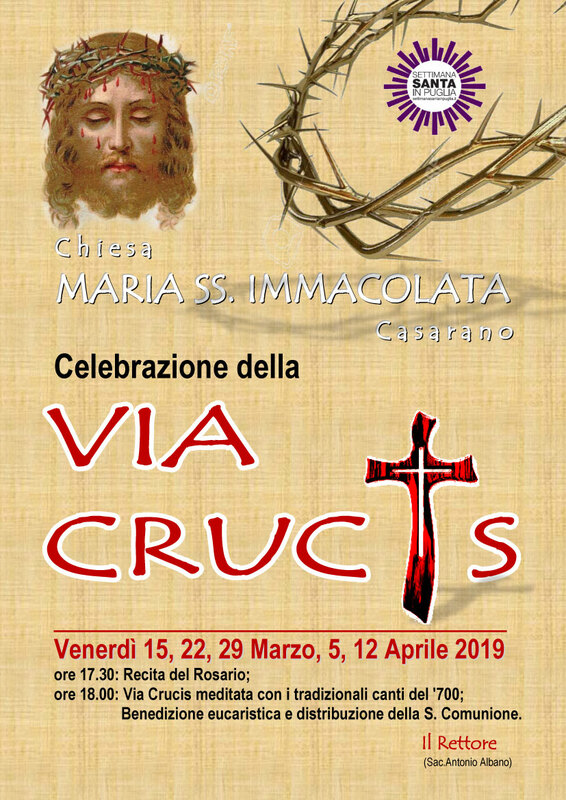 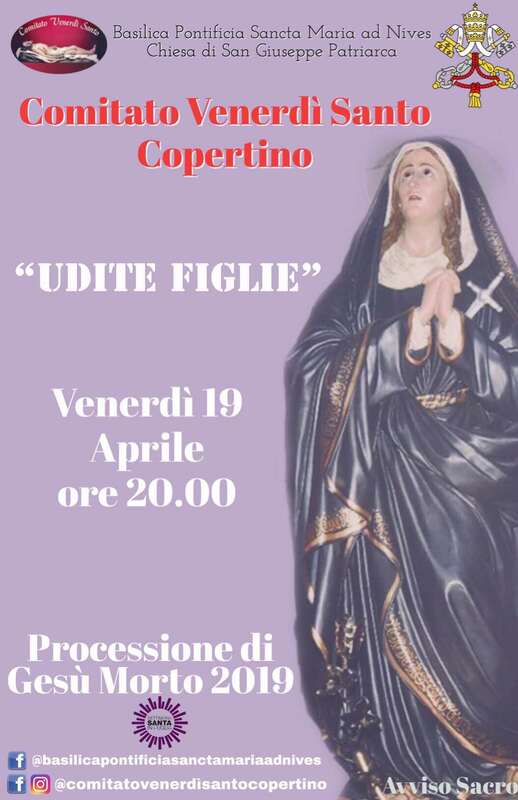 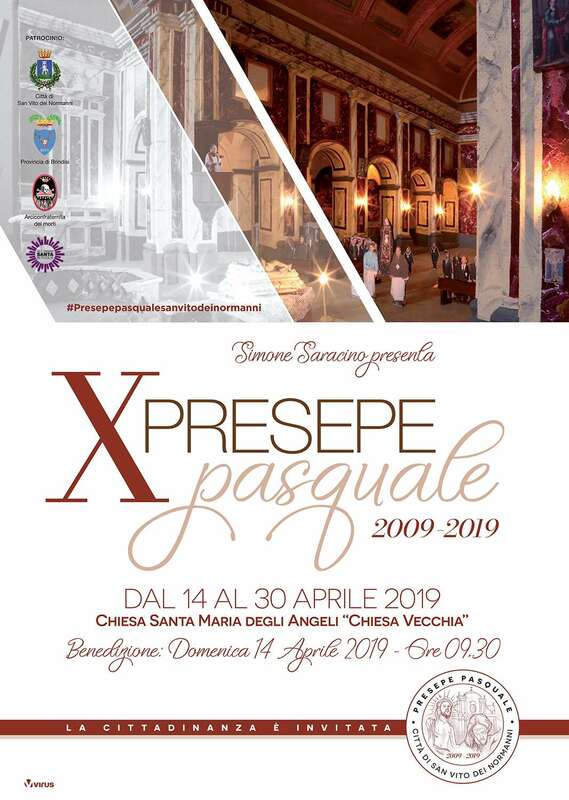 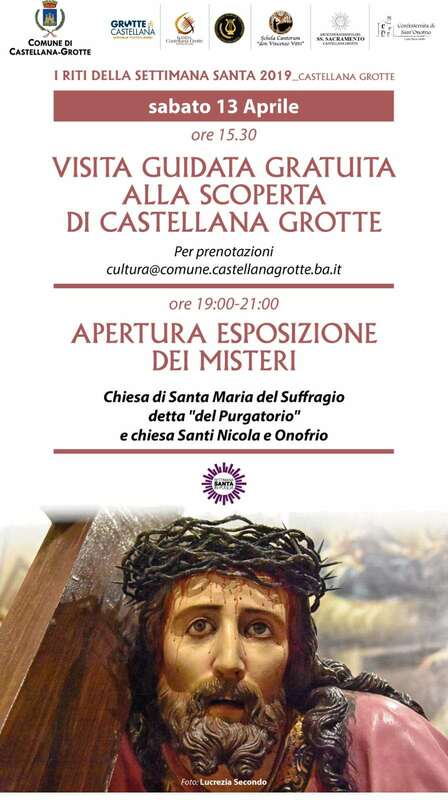 A large number of figures also participate at the solemn procession of Good Friday, in MAGLIE closed by the statue of the expired Christ and of the Madonna in crape venerated in the Sanctuary of the Our Lady of Sorrow. 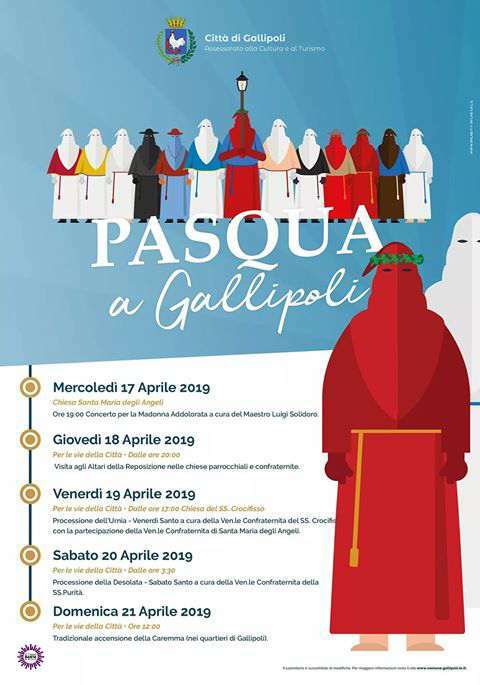 A substantial continuity of gestures, symbols, places and ritual form characterise the celebrations of the Holy Week in Brindisi. 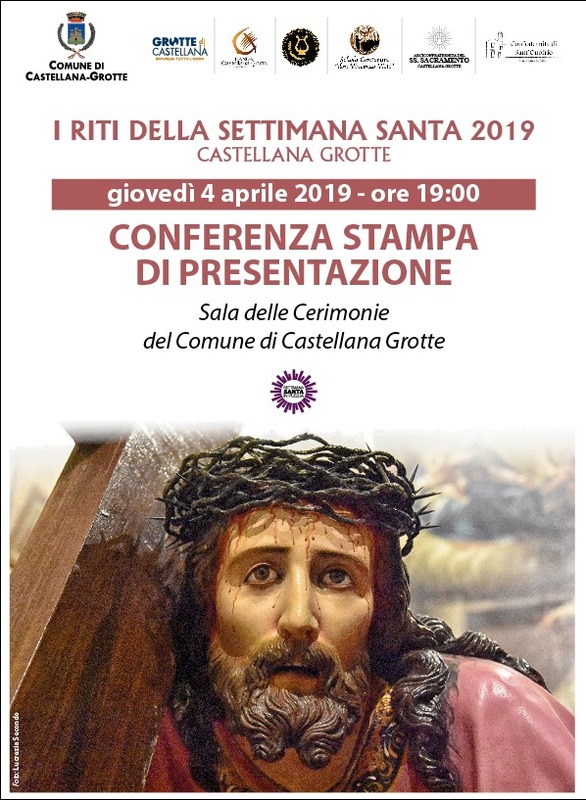 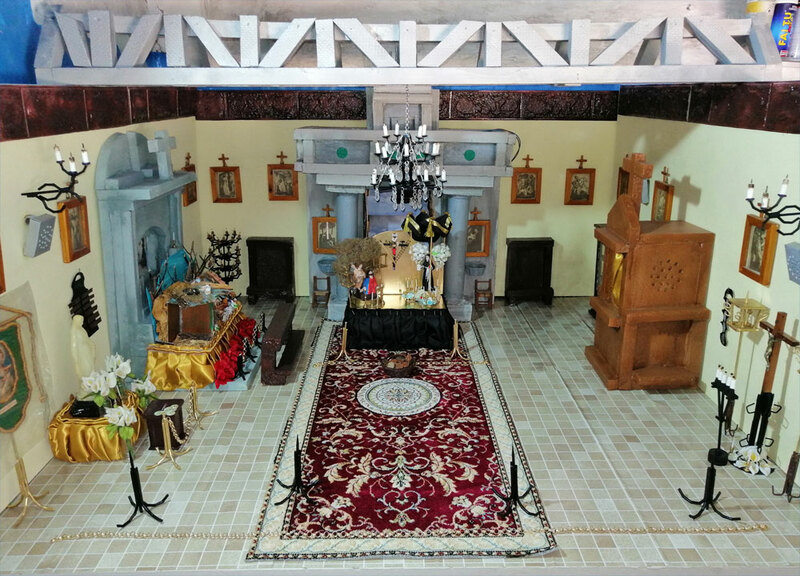 The confraternity of the monks organise and give life to all the para-liturgical appointments septenary, triduo, prayers and penance, pilgrimages in preparation of the highlights of the visit to the “sepulchres” and of the solemn processions. 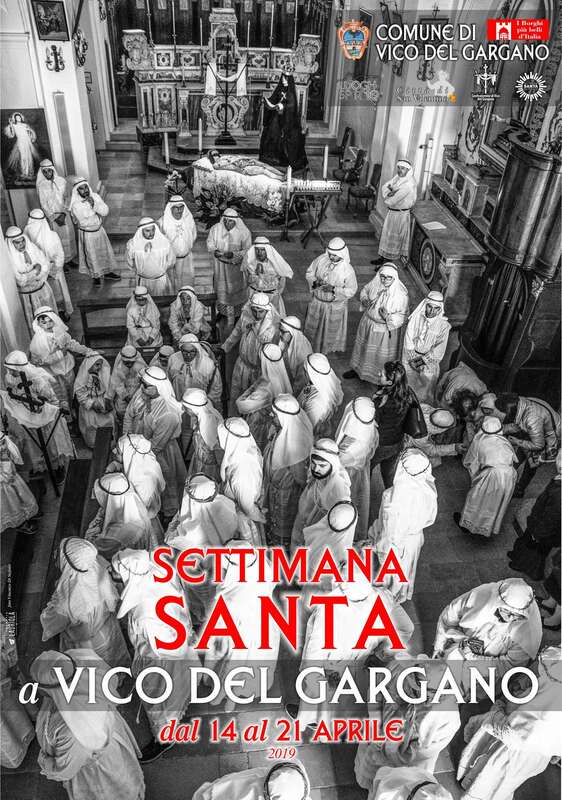 In these centres the monks belonging to the order of Madonna of Carmine, perform the roles of the protagonists of the rites. 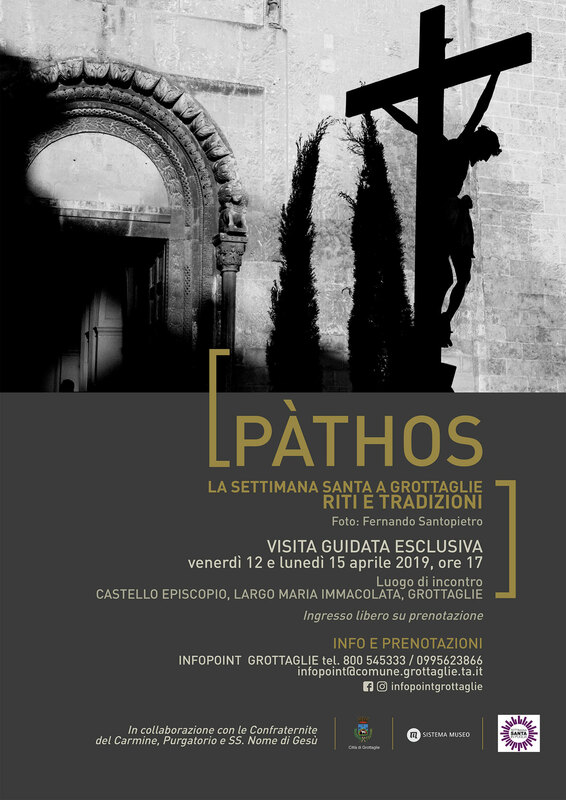 As it happens in the areas of Lecce and Taranto, the antique and exclusive privilege formally approved in the monk's statutes and regularly judged in disputes in both ecclesiastical and civil courts, the pilgrimage and the “vigil” at the “sepulchres”. 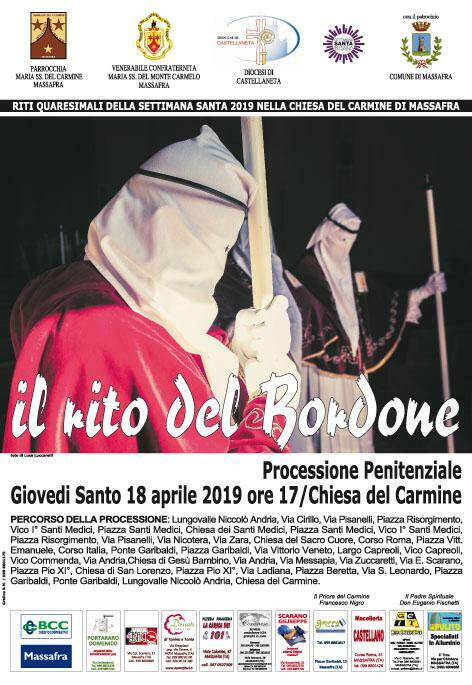 The monks with typical wide lapped hair, brown or black habit, the “pazienza” on which is embroidered the lettering DECOR CARMELI, hood pulled over the face, rosary on the belt, drone in the hand, barefoot, following slowly in pairs and in absolute silence, amongst the mute and respectful crowd, reach the church to venerate the Sacrament placed in the urn. 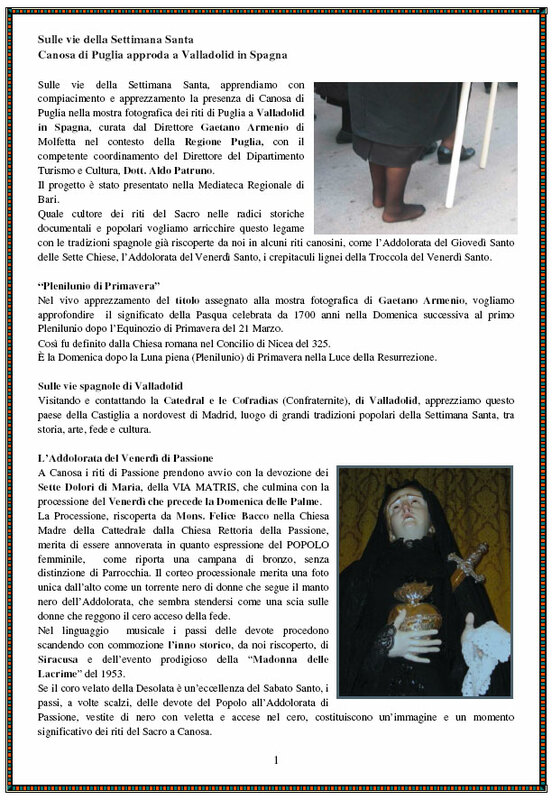 The pace is very slow and exasperating the “nazzicata” with elbow against elbow. 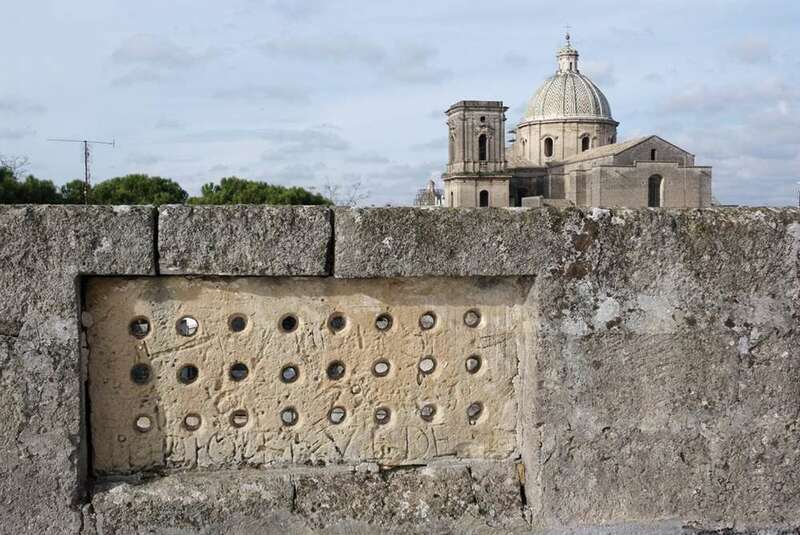 The meeting of penitent pairs gives place to a ritual salute, made up of bowing and gestures said to be Manduria “salamlicc”. 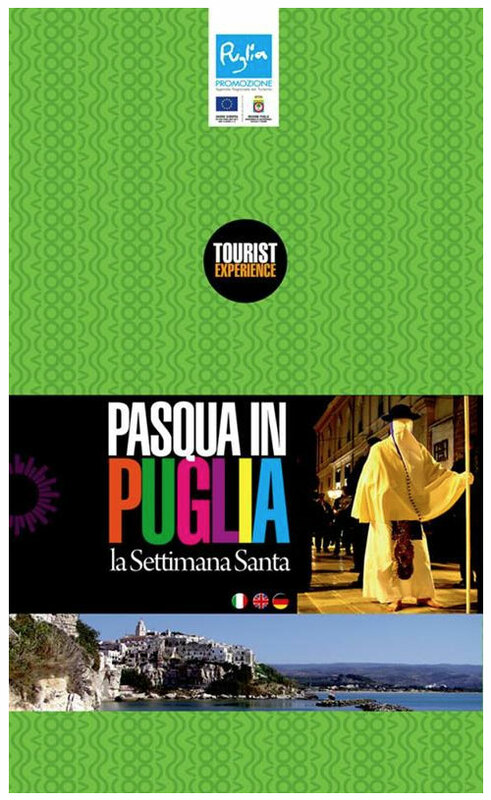 They are called “pappamusci”, “bubli bubli”, “perdoni”, and “mai”. 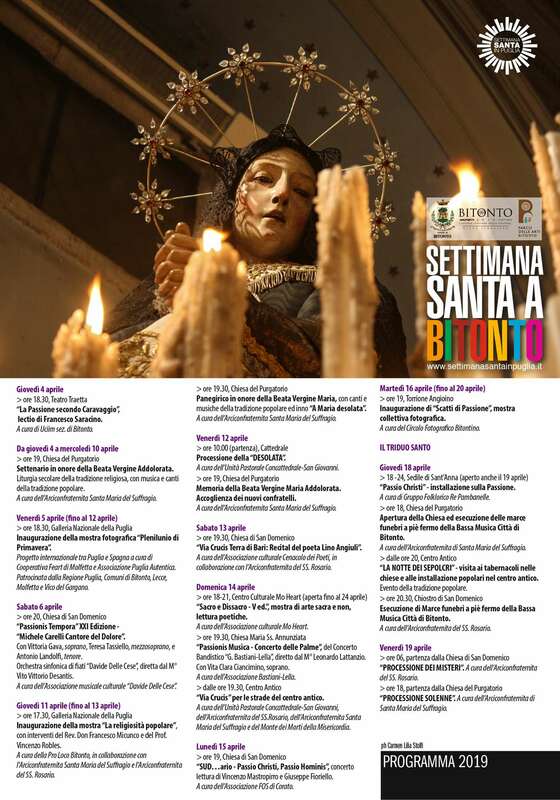 These moving rites happen in FRANCAVILLA FONTANA: from the procession of Our Lady of Sorrow on the Friday before Palm Sunday, called Passion Friday, to the visits of the “sepulchres” which the hooded monks perform in pairs and, communally, follow “their” Our Lady of Sorrow; to the evening procession of the mysteries which witnesses to the participation of numerous pappamusci of which the trai, bare-footed hooded penitents who drag on underneath the enormous weight of crosses made of rough carpenter beams (li trai). 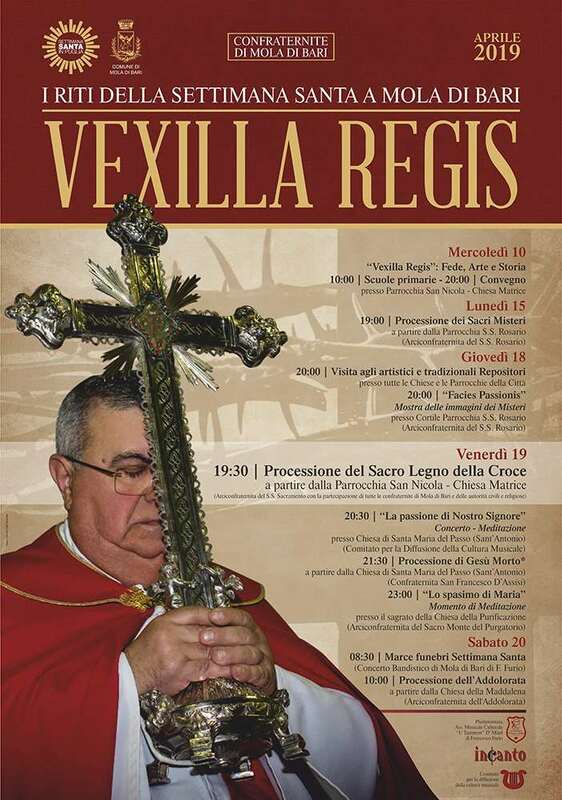 Strongly penitential accents still preserve the “procession of the chains” which is carried out in TROIA: five devotees with covered faces go to the adoration of the “sepulchre” loaded with a heavy cross and, above all, barefoot, dragging their chained ankles the sound of which, on the paving, strongly increases the eeriness of the ritual. 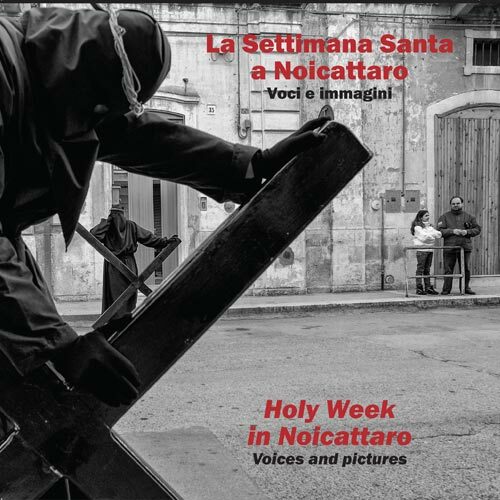 The Via Crauci of NOICATTARO in Triggiano, dressed in black sacks and with a crown of thorns on the head, follow barefoot the sacred symbols carrying heavy crosses on the shoulders, carrying the “discipline” chain on their ankles, with which until a few decades ago, self flagellation was practised during the rites. 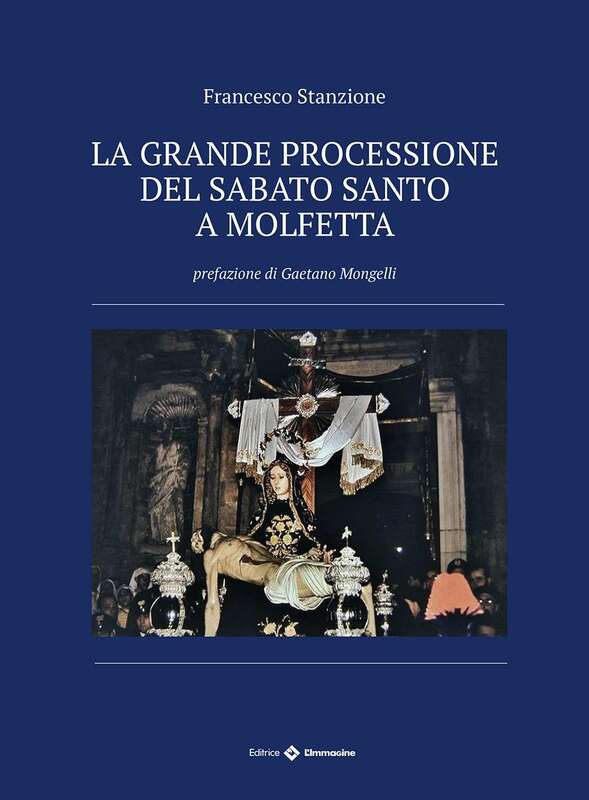 Instruments of mortification and “discipline” are also ostentatious in the processions of Gioia del Colle and Valenzano. 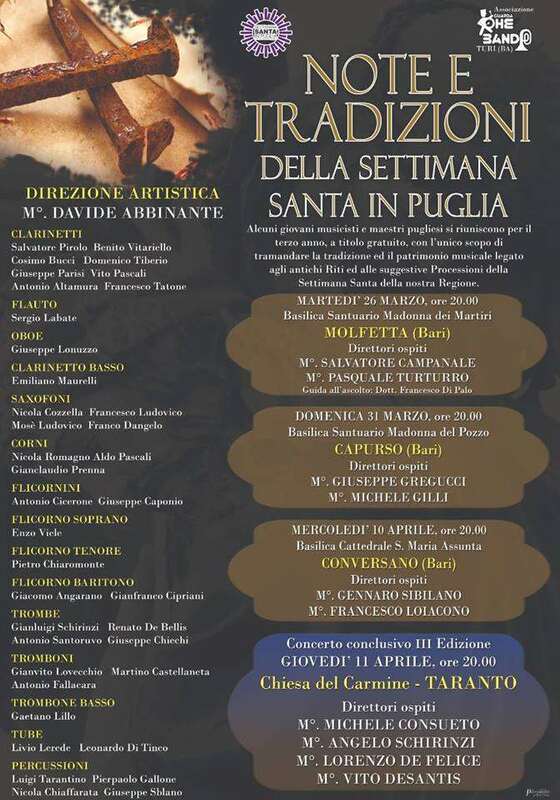 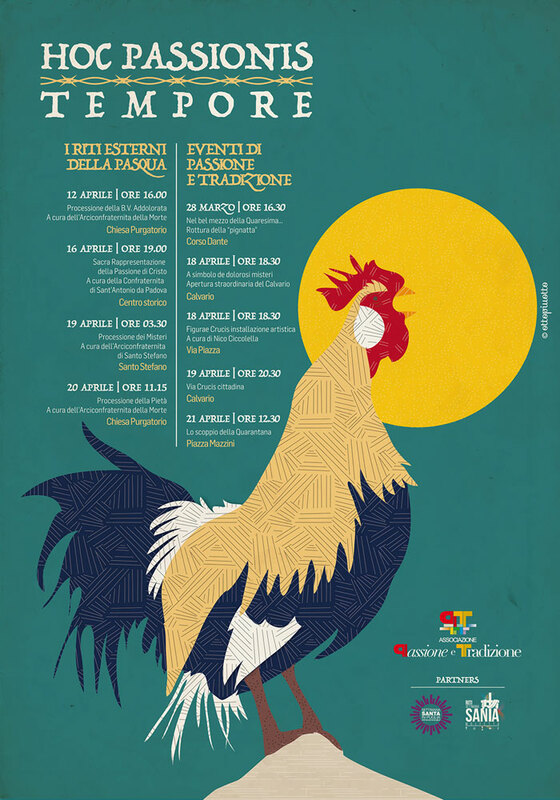 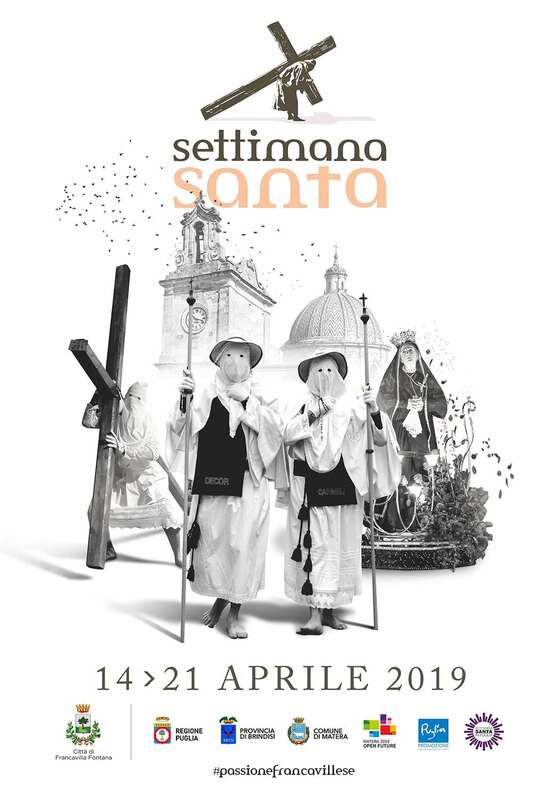 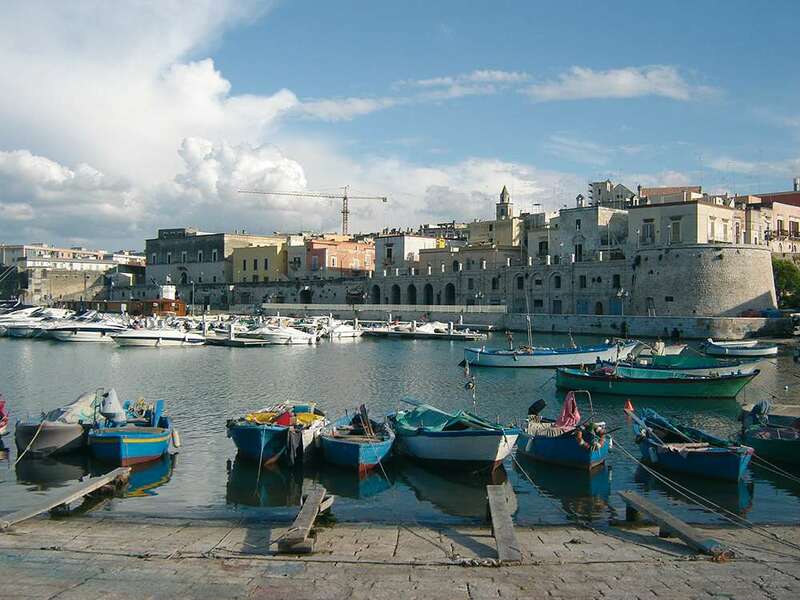 Markedly spectacular and penitential aspects maintain the processions which are held in TARANTO which have now become the emblem of the Easter rituals in Puglia. 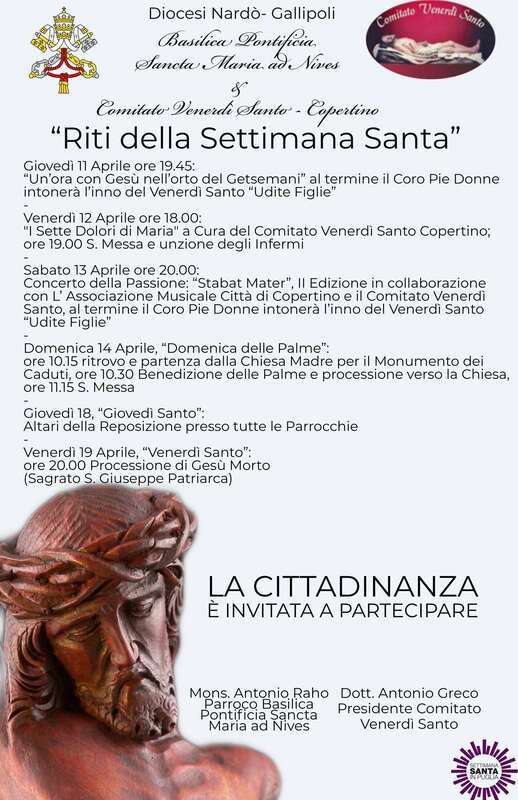 The accentuated competition which is manifested in the fought auctions of Palm Sunday for the adjudication of the symbols and of the statues, which then recomposes in two processions which “block” for a day and a half the city of the two seas. 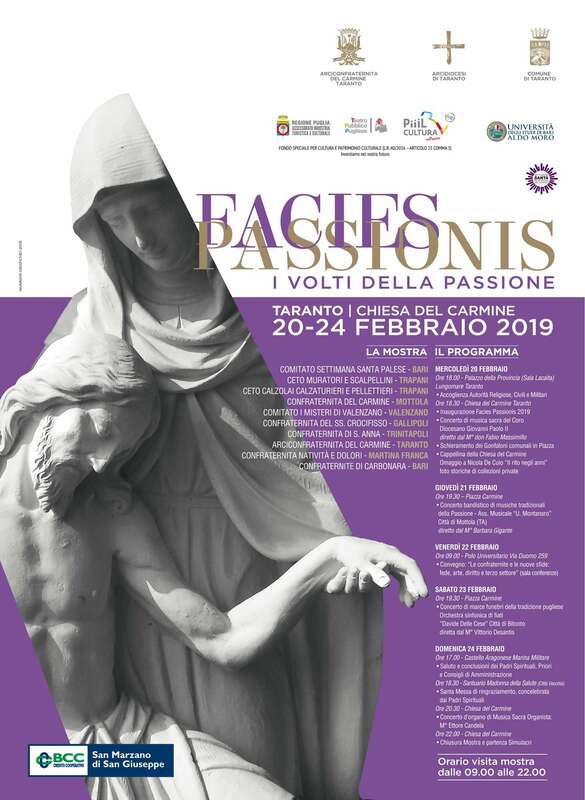 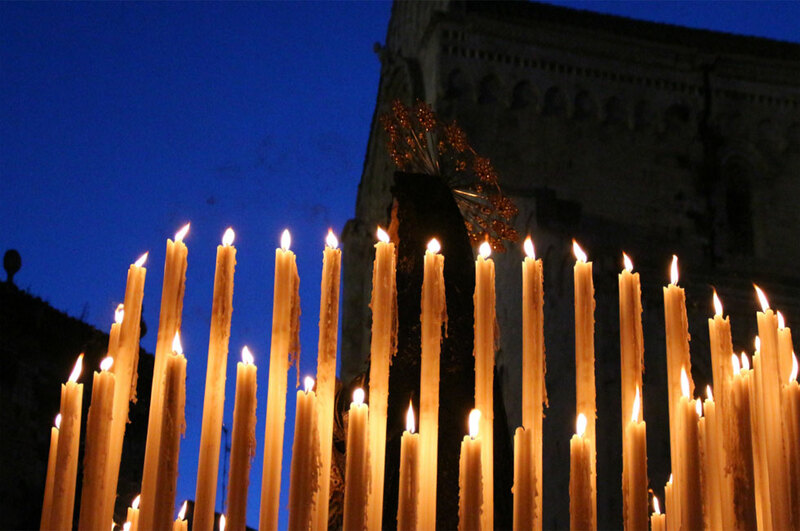 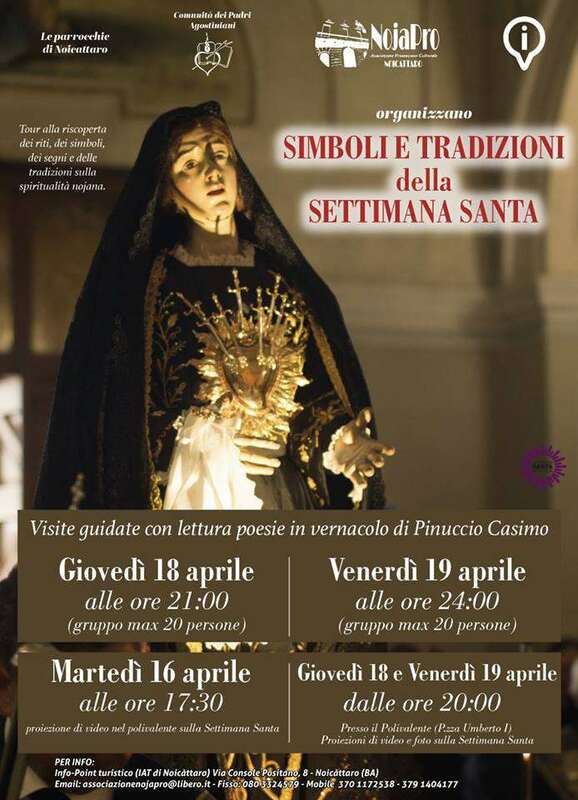 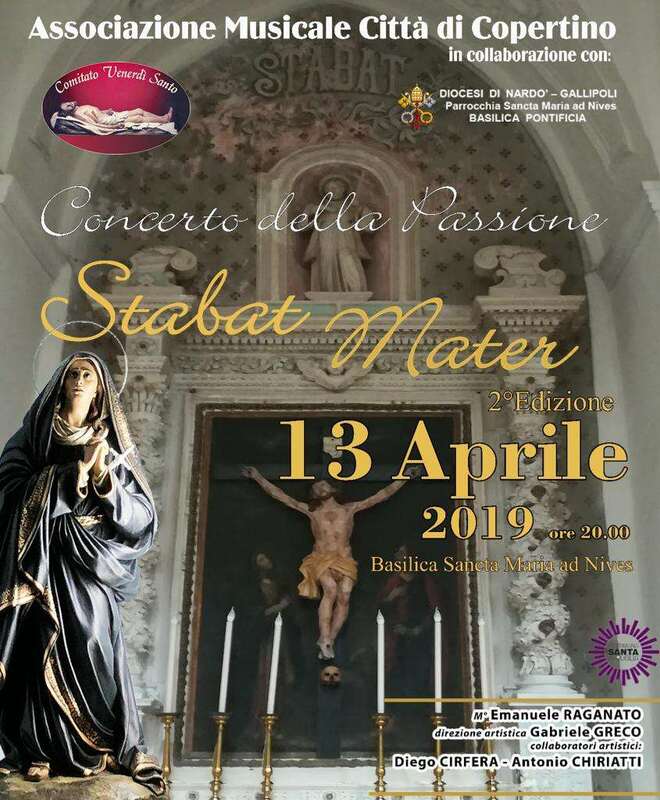 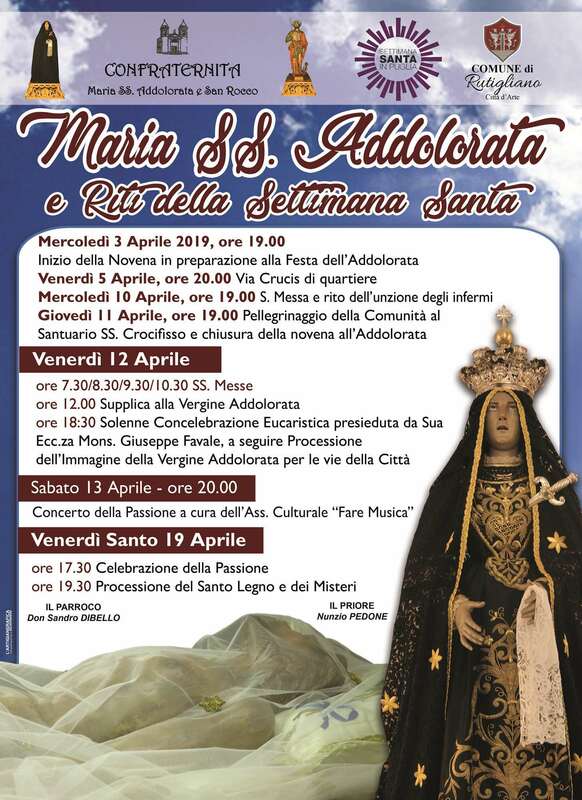 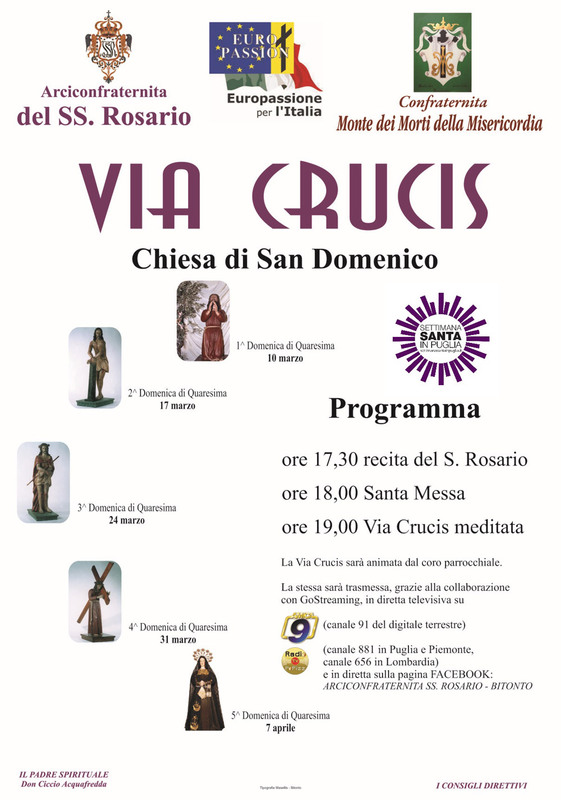 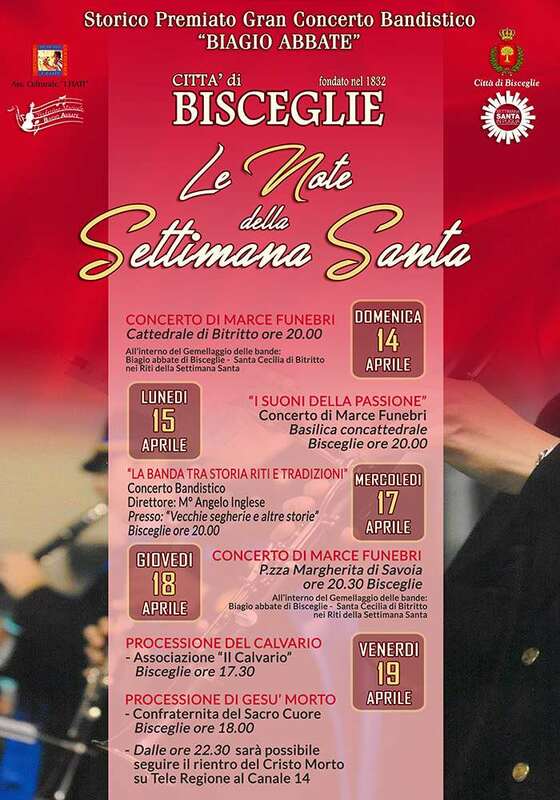 The first procession is held starting at midnight on Holy Thursday when the statue of Our Lady of Sorrow descends, holding her heart in her hands, the steep baroque steps of the church of S. Domenico, in the historic centre of the city. 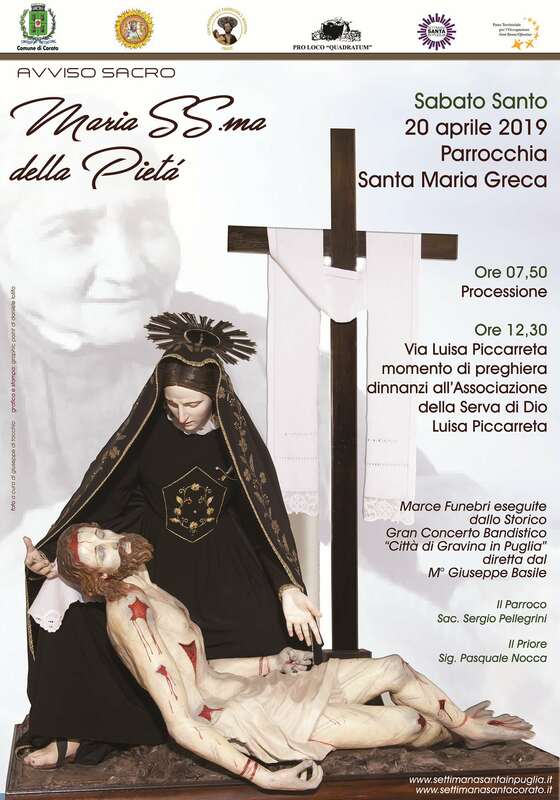 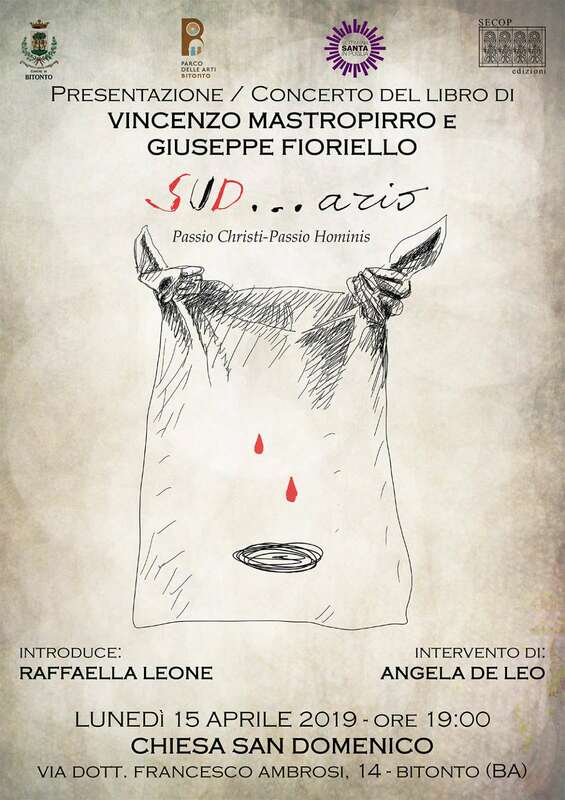 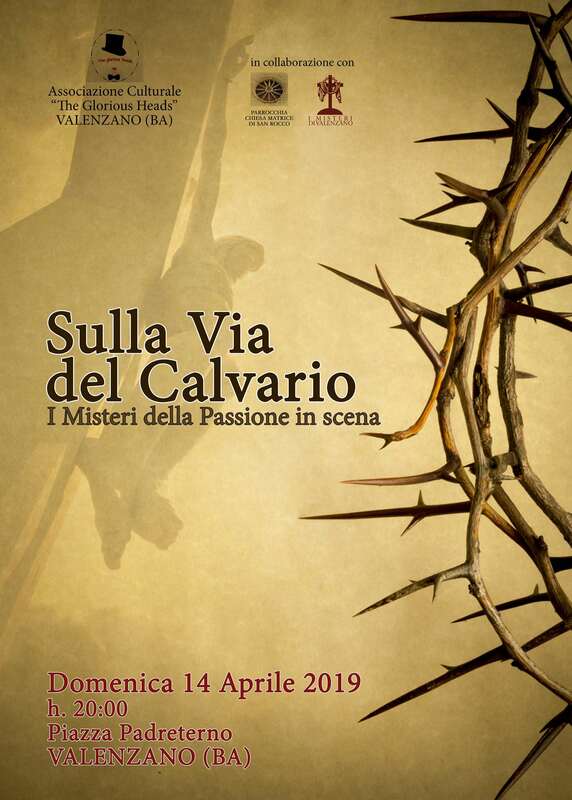 The procession of the mysteries develops in the afternoon of Good Friday from the church of Carmine and concludes at dawn on Holy Saturday Between the statues pairs of “perdoni” follow at a very slow pace recalling ritual antique medieval manifestations of sorrow. 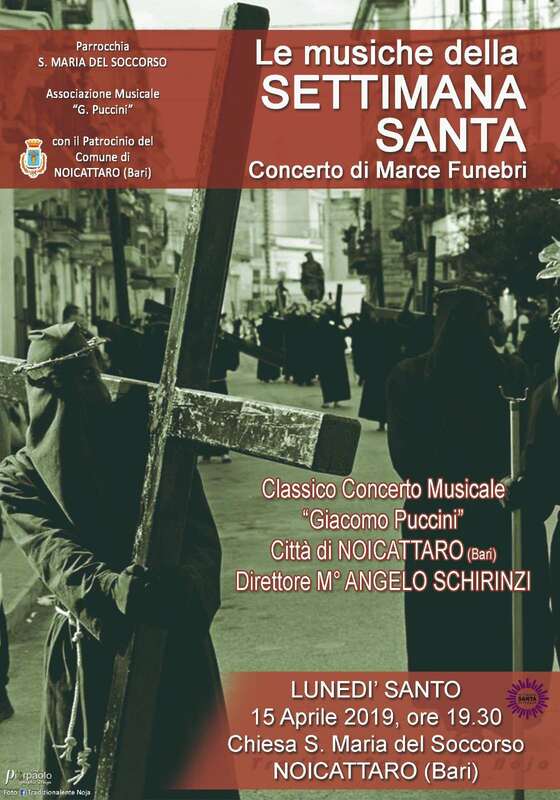 The paroxysmal “nazzecata” very similar to the “annaccata” of the Sicilian Easter ritual – indeed constitutes a type of suspension in time and the manifestation of mourning through the slowing down of the motor systems of the body and expresses choral sorrow for the death of the Man of God. 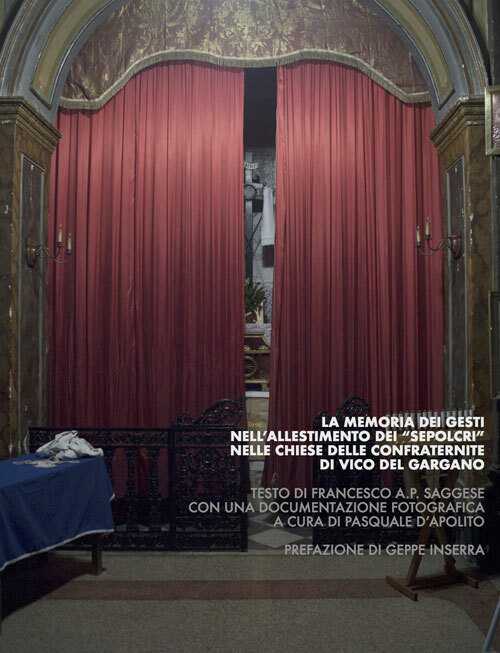 The “mourning pace” is exasperated by rhythmic scans and shrill rattle of iron hammers on wood (before seen in an antique Roman ritual) and the lacerating funeral melodies which constitute the true soundtrack of the Passion from Apulia. 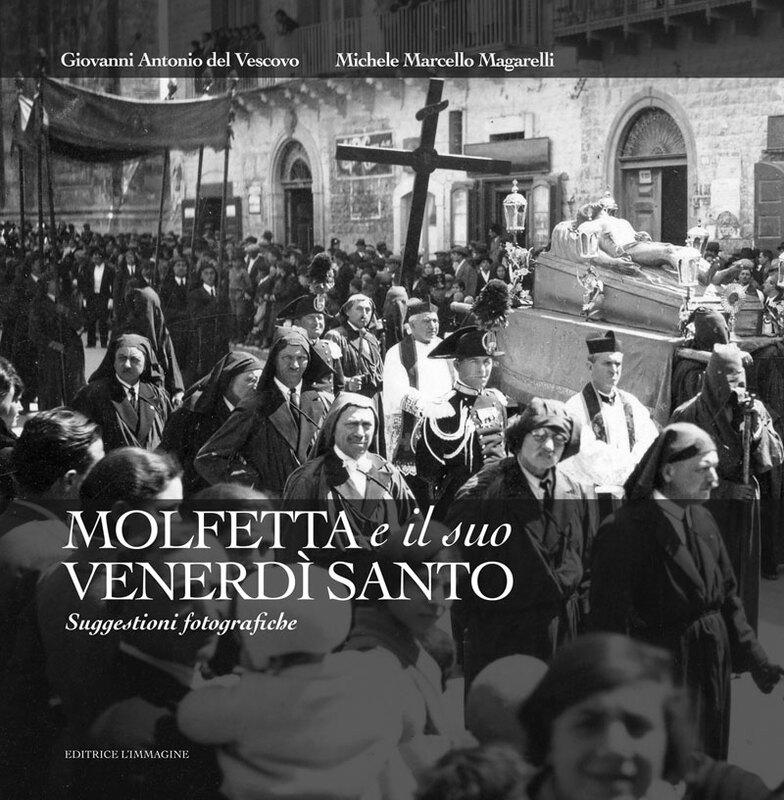 Peculiar analogies can be found also in the procession of Mottola which moves from the church of Carmine at dawn on Holy Saturday to its conclusion on the next afternoon: the antique and beautiful statues of Maccagnani have been recently enriched with those representing the Pietà group and the angels bearing the symbols of the martyr. 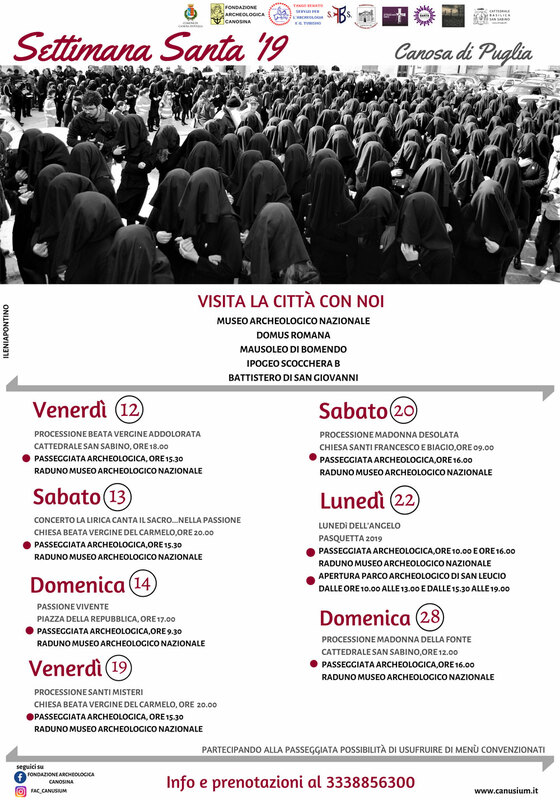 The presence of the bare-footed and hooded in the processions at Mottola, TARANTO, ANDRIA, TRANI, TROIA, Triggiano, NOICATTARO and in numerous other centres in Puglia, although reminders of a distant culture of sin and the penitential behaviours of accentuated self mortification which were protagonists of the thirteenth century movements of the Flagellants or the Disciplined, express in reality a different religious culture of counter-reform. 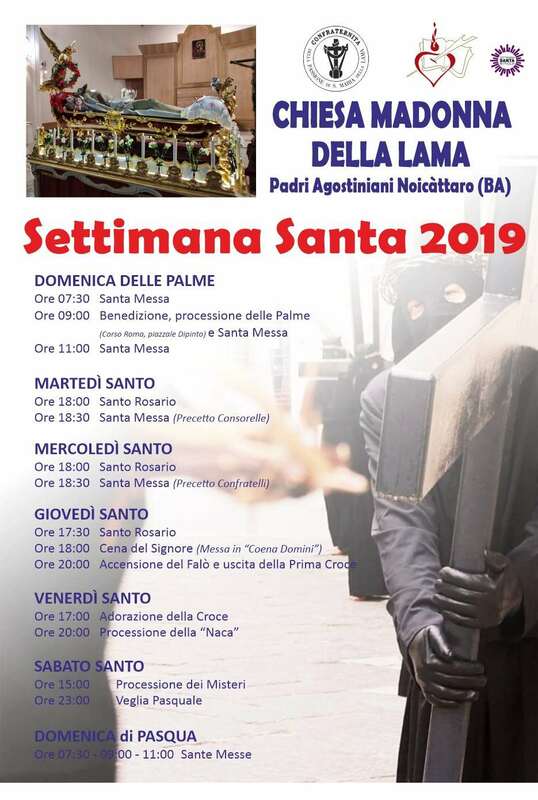 Nowadays excluded, as instead it is still practised (Nocera Terinese or Guardia Sanframondi), the ritual of blood, at one time present and practised also in our area. 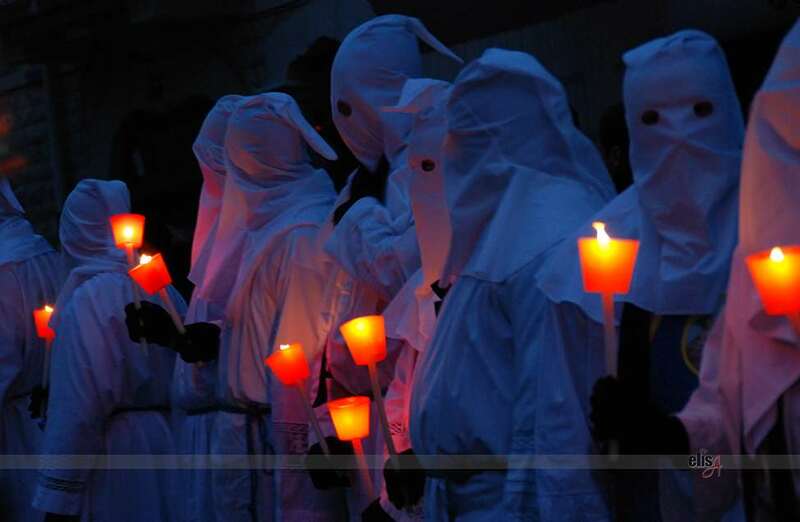 Widely diffused, the procession of the mysteries which assume grand solemnity and at which civil authorities participate, with their own symbols, regularly striped to signify the contrition of the whole community. 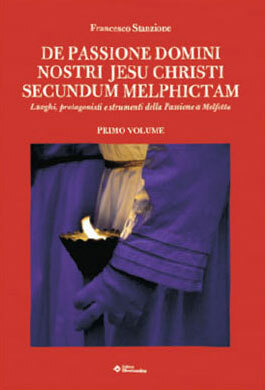 The procession of the mysteries recalls in the headword the archaic medieval term which described just these sacred masses in scenes from the life of Christ, the Virgin and the apostles in the churches in churchyards or in the classrooms of the monks for the edification of the population. 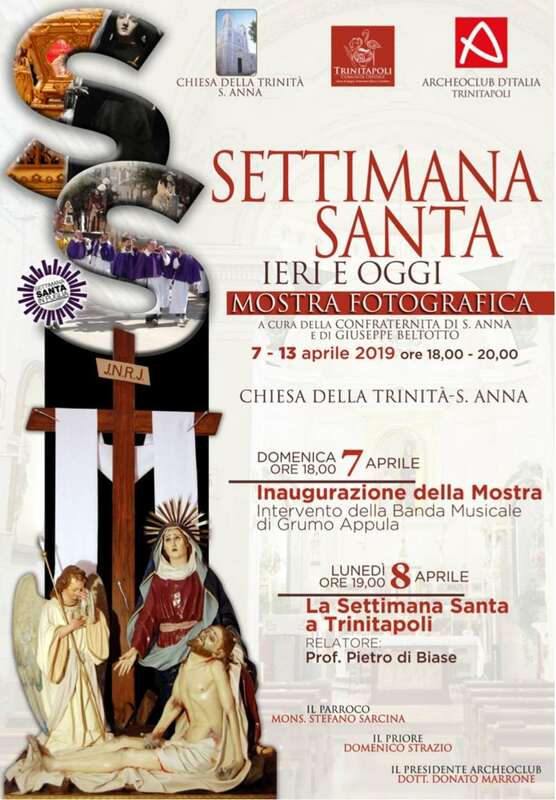 Truly impressive for the number of sacred images and the procession of the mysteries which is held the morning of Good Friday at Valenzano, town on the outskirts of Bari: it is composed of circa forty statue groups privately owned, some also quite large, reproducing complex scenes from the sorrowful itinerary and the mortification of Christ. 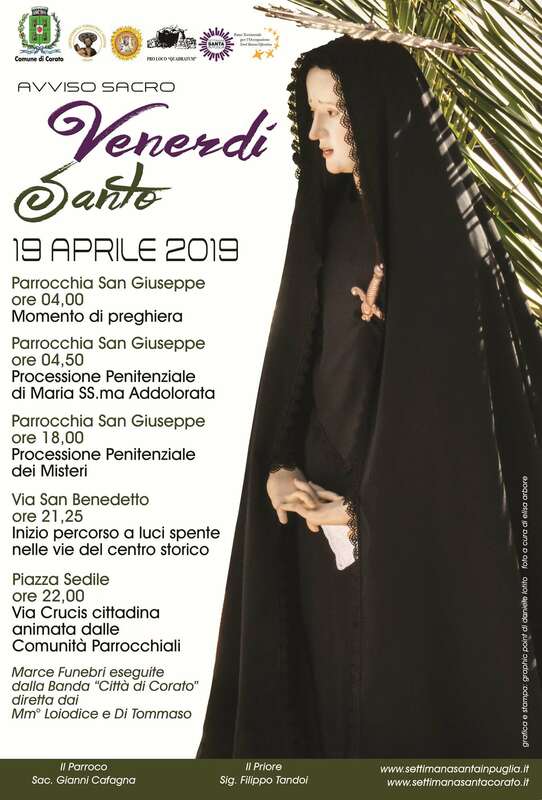 The procession concludes in the main square with the “great preaching” and the commitment to the arms of Our Lady of Sorrow, of Christ on the cross. 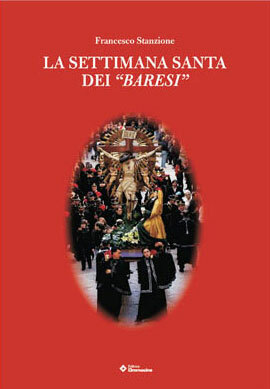 Baroque and penitential elements characterise the rites in the area of Bari, commencing from the procession of the mysteries of the local capital organised in alternate years –for the accentuated concurrence of the monks which regularly fell into disturbance, ended by decree of the Archbishop Clary in 1825 – by groups of devotees coming from the churches of S.Gregorio and of Vallisa The procession of Good Friday is also very suggestive at BITONTO: opened by representatives of the various monk's in the city, sees the parade through the streets, illuminated by braziers the statue of the body of Christ in the carved and gold plated Spanish “naca” (cot), Our Lady of Sorrow emerges from a forest of lit candles, the seventeenth century copy of S.Sindone, the floral trophy in the shape of a monument with a precious silver cross containing holy wood..
At MOLFETTA the role of single fellowships revolves around the monks’ institutions of the most antique foundation: The monks of death, or of the “black sack”, and that of Saint Stephen, or of the “red sack”. 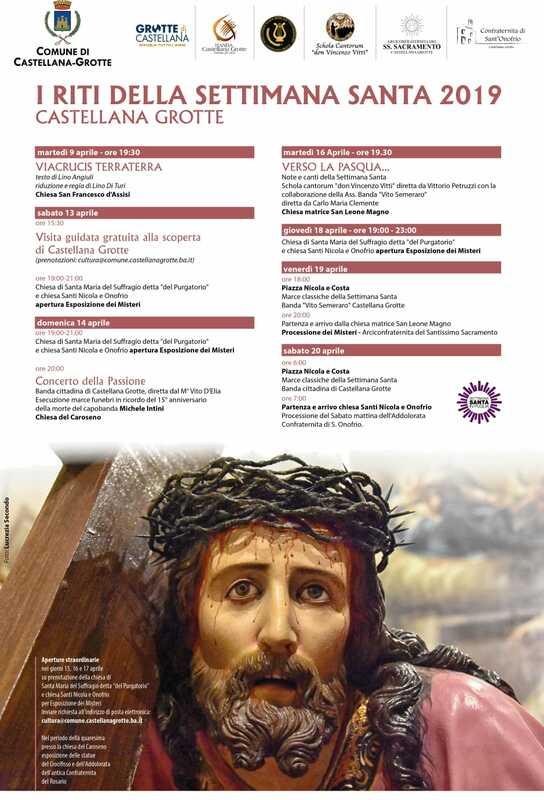 The first organises the processions of Our Lady of Sorrow (Passion Friday) and that of piety (Holy Saturday), the second the antique procession of the mysteries which is comprised of 5 statues, the most beautiful to be seen in Puglia., decorated with precious quilted gold gowns, works of faith by a Neapolitan artist from the beginning for the sixteenth century. 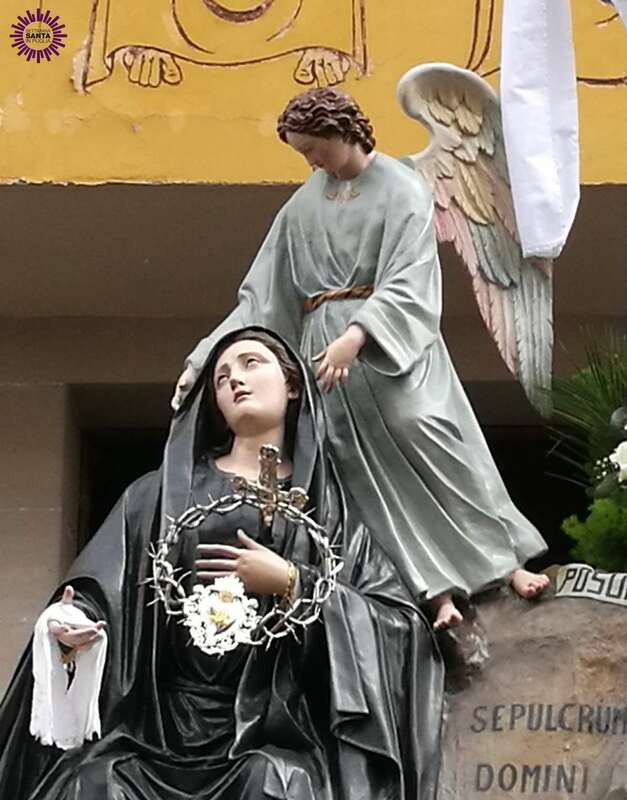 Between the processions of Our Lady of Sorrow we remember those at Canosa on Passion Friday and that called the Desolate on Holy Saturday: in this last one the statue of the Madonna, portrayed sitting at the foot of the cross and comforted by an angel, is followed by hundreds of children dressed in black with covered face who follow in a “chain” intoning the hymn of the Desolate, recalling the pain for the mother for the unjust death of her son, the singing of the monks accompanies the various statues of the Madonna which on the morning of Good Friday, each on their own, and the evening of the same day, all together pass through the streets of Vico del Gargano. 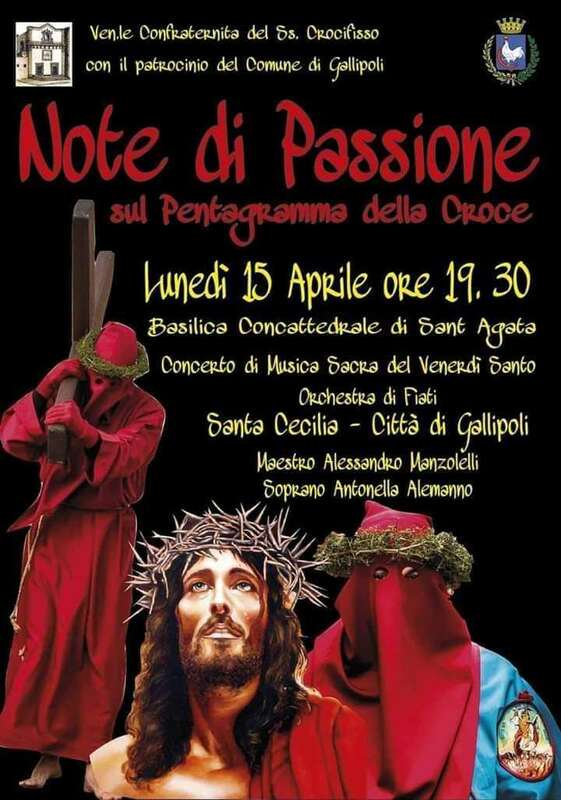 Unique in the ceremonial panorama is the procession of Good Friday at S. MARCO IN LAMIS: The Madonna in crapes is accompanied in the streets by enormous cones of burning wood, the torches which sinisterly illuminate the whole route covering with the glare and acrid smell of smoke, faithful, tourists and curious people, called by the single event which transforms the town of Gargano in a sort of scene from Dante. 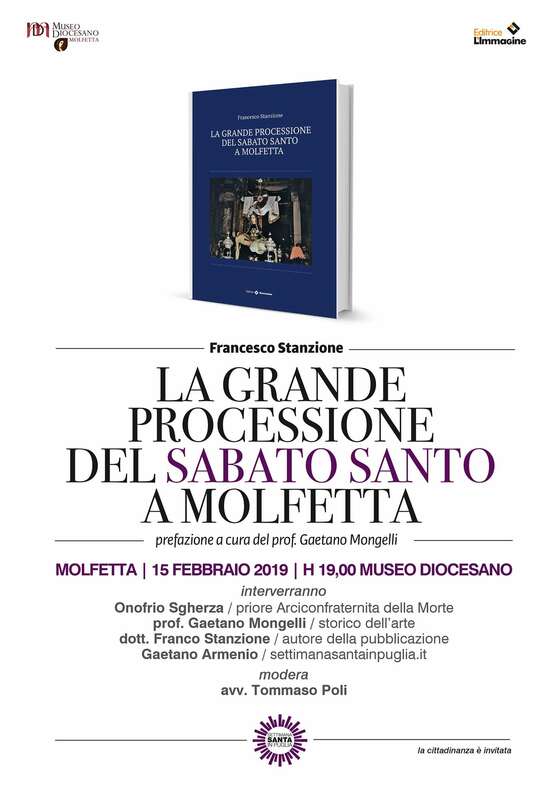 Often, distinguished relics of the Passion confer greater sacredness to processions at BITONTO, RUVO DI PUGLIA , Mola, Rutigliano, Terlizzi, MOLFETTA, TRANI, Trinitapoli numerous stauroteches made precious by noble metals and gems, are displayed for public veneration and paraded by the cleric and escorted by Carabinieri in dress uniform, Conspiscuos is the fragment of holy wood of Barletta, contained in a precious cross: for antique tradition, held to be brought directly from Jerusalem. 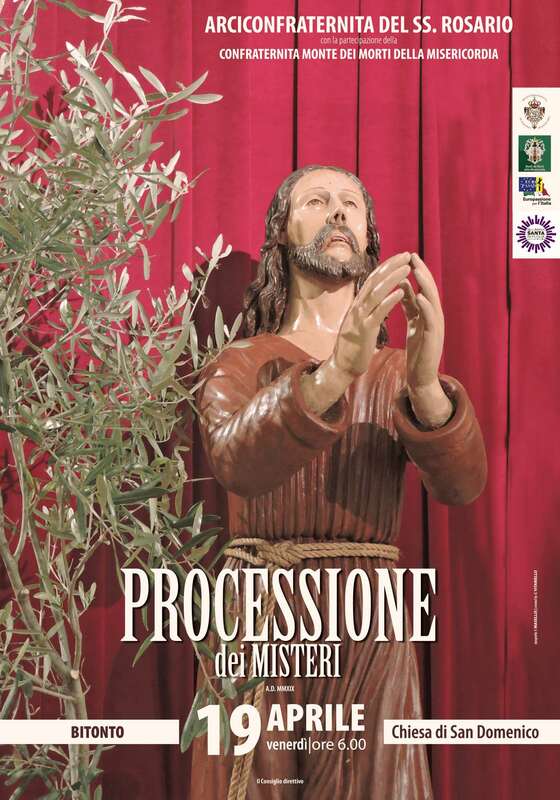 At Giovinazzo parade, collocated in a floral trophy and in clouds of incense, two holy splinters. 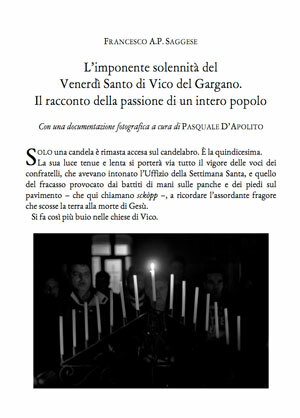 Particularly venerated is the Holy splinter of ANDRIA which in particular renew the miracle of the reddening of blood. 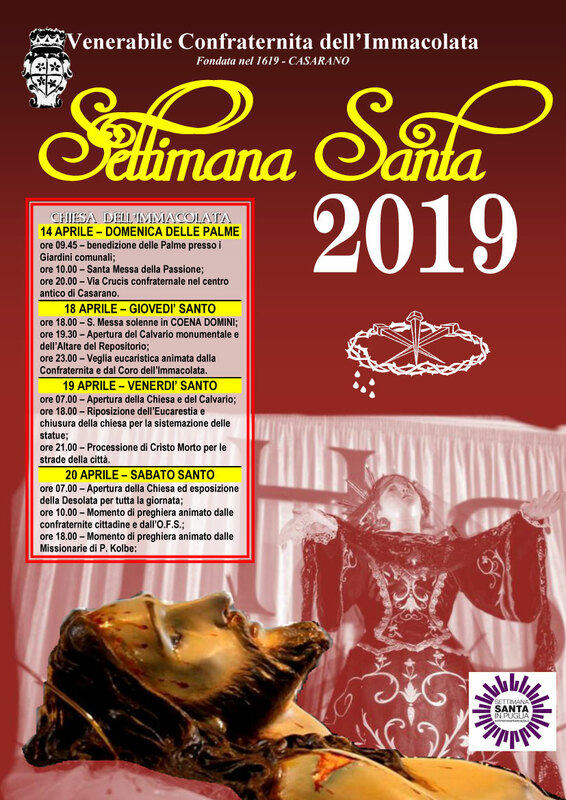 With authentic religious sentiment, but without obscuring also the value of the tourist recall, many cities hold sacred representations with figures in costume-some are particularly successful in the suggestion because held in the antique centres (RUVO DI PUGLIA, Corato, Conversano) or in the context of small villages and nature of particular beauty. 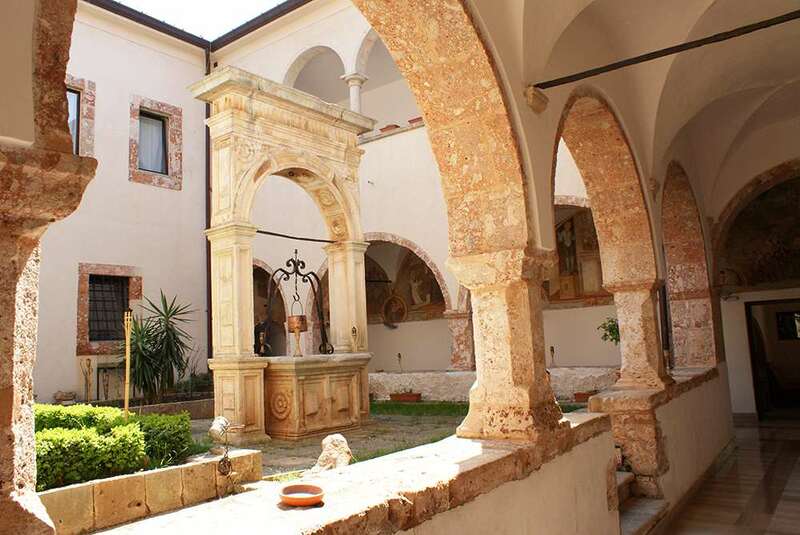 At Ginosa the scale of the representation of the famous “gravina” which in her aspic environmental situation, rich in gorges, ilamè , caves, Mediterranean vegetation, vaguely recalls middle-eastern suggestions. 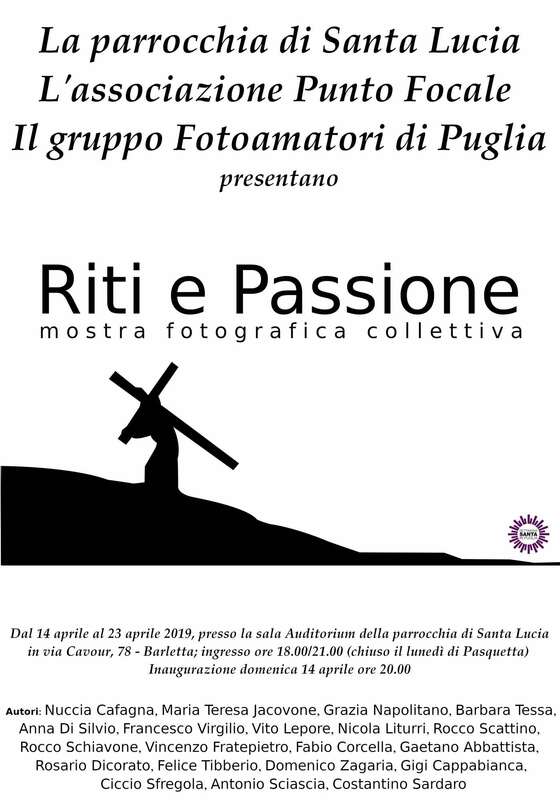 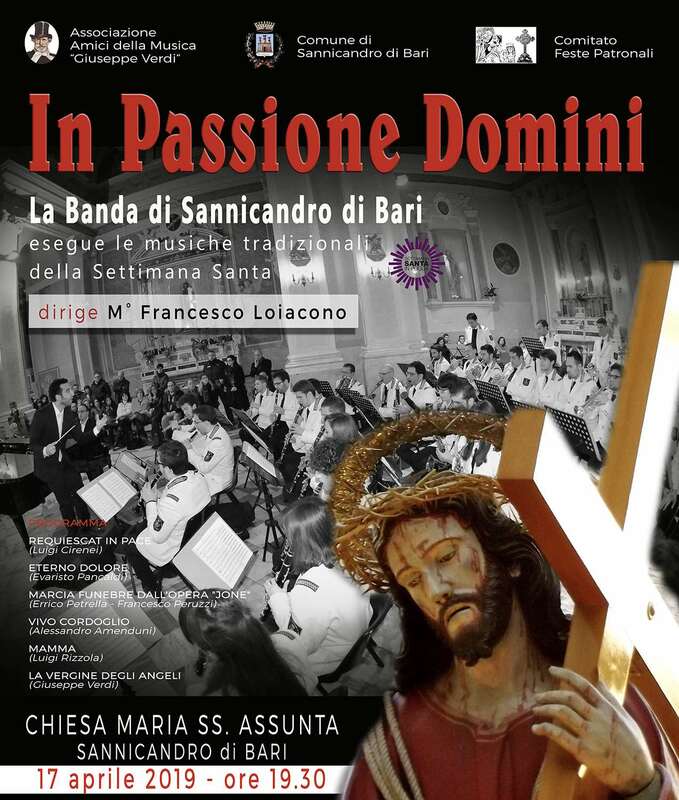 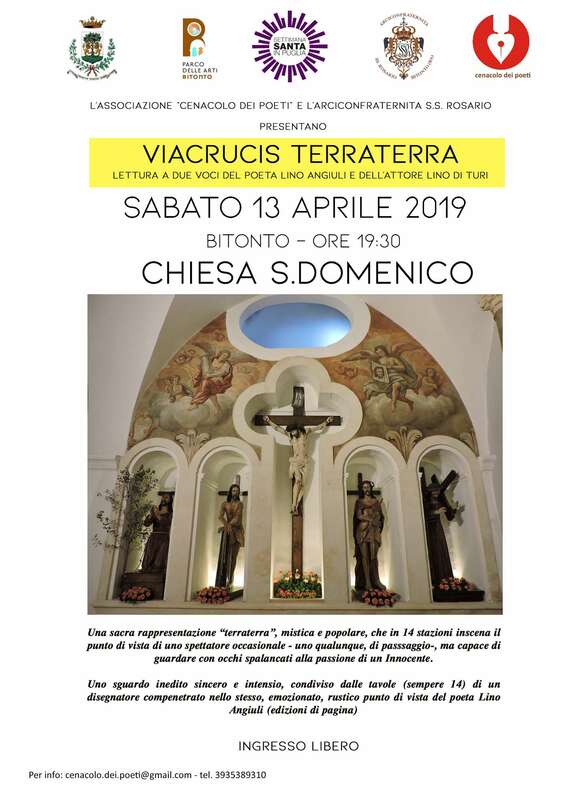 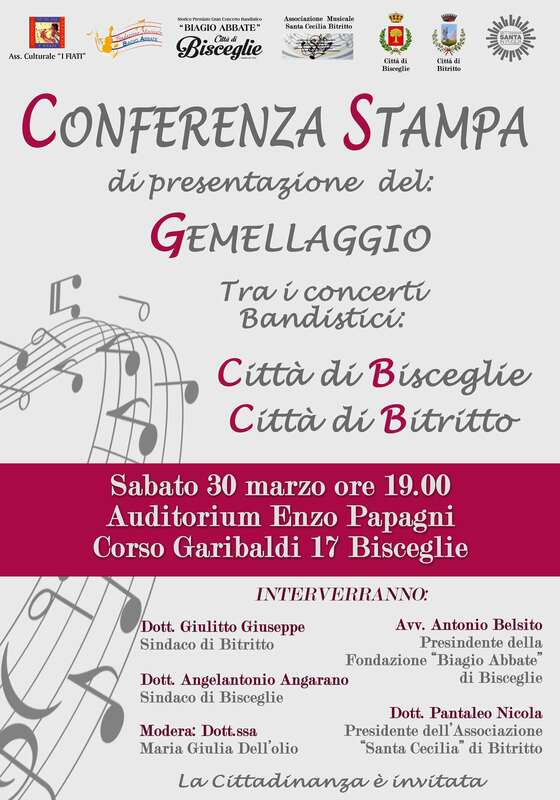 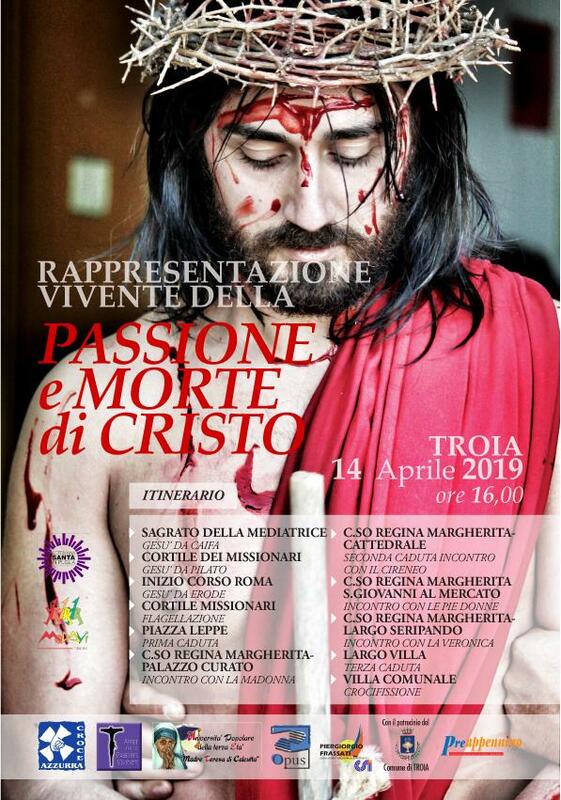 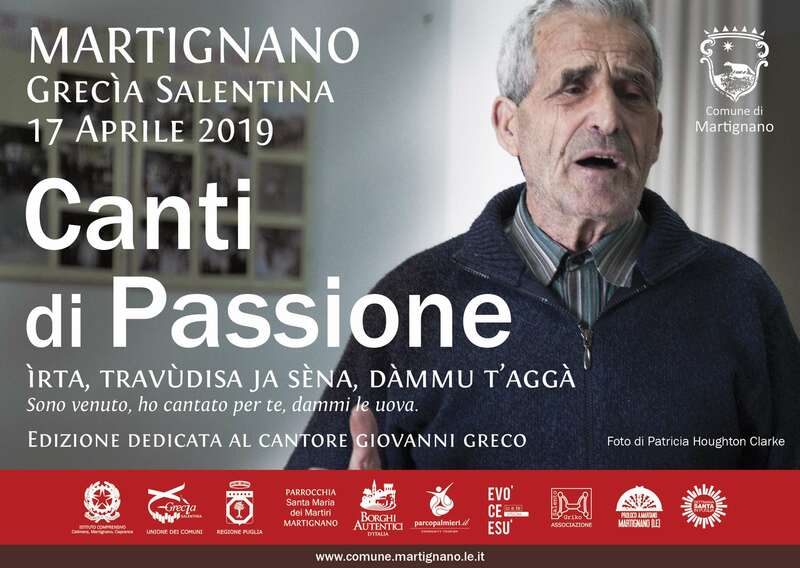 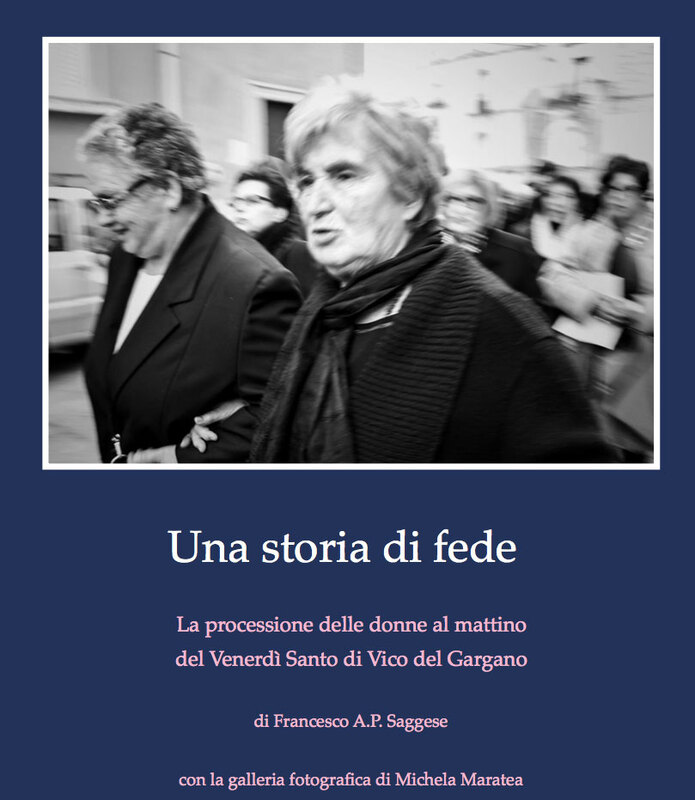 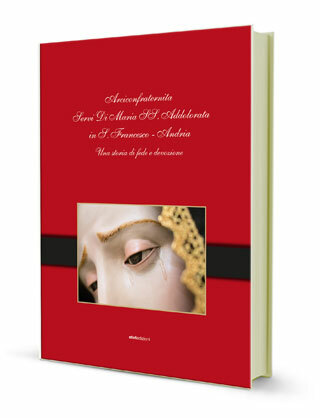 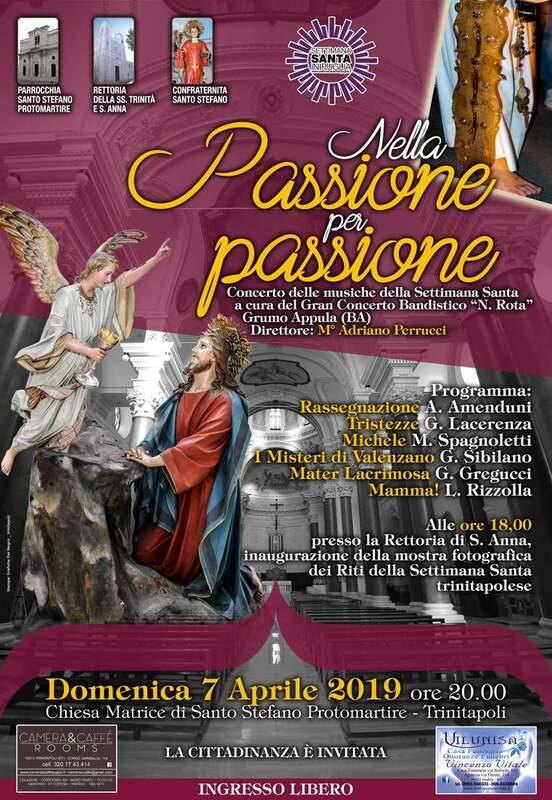 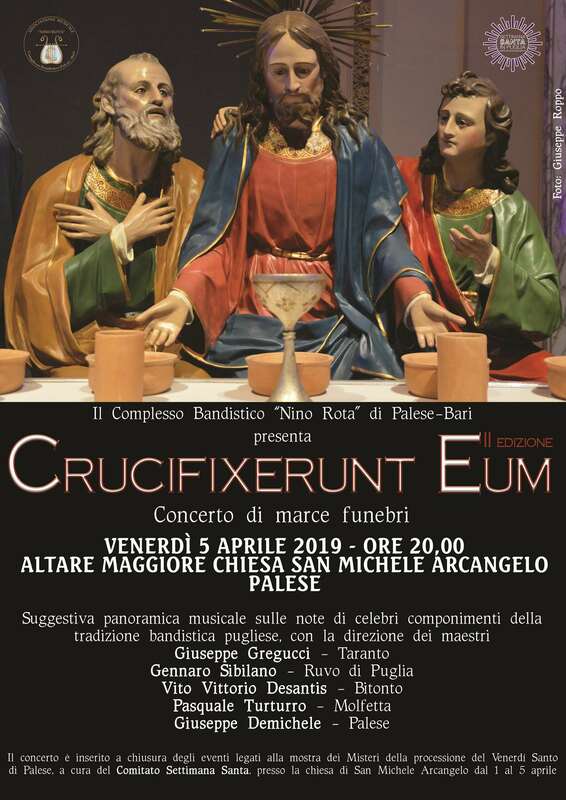 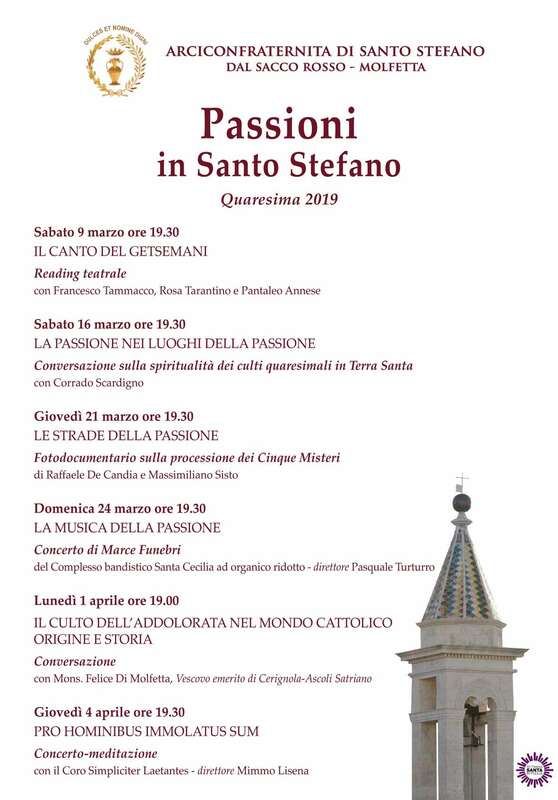 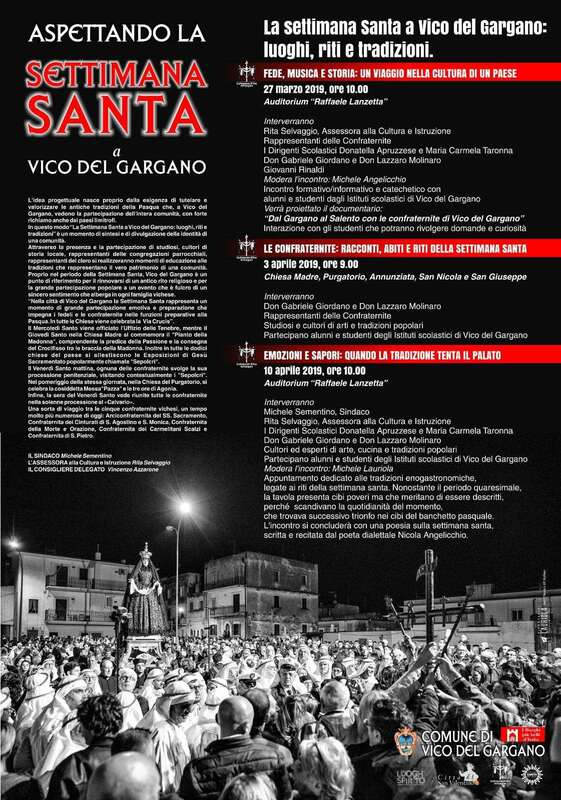 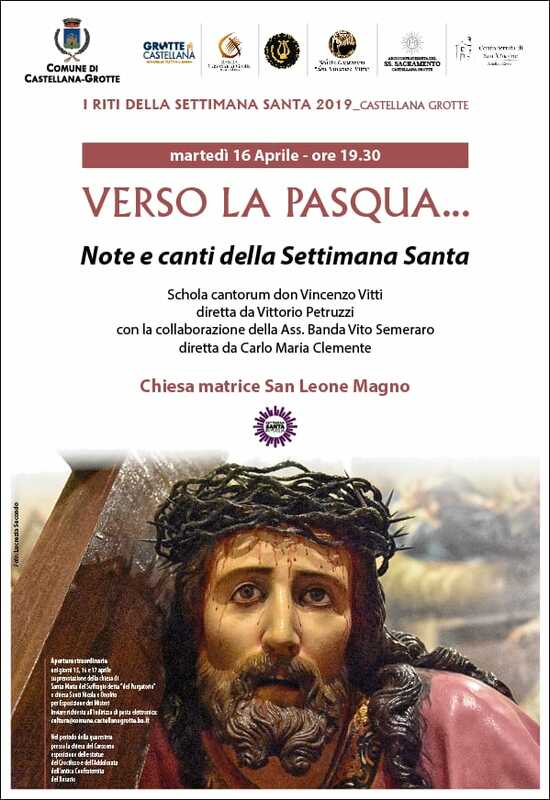 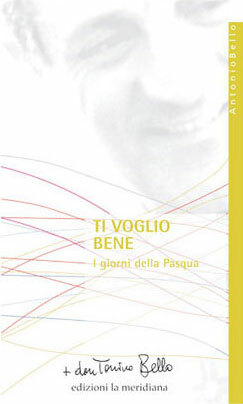 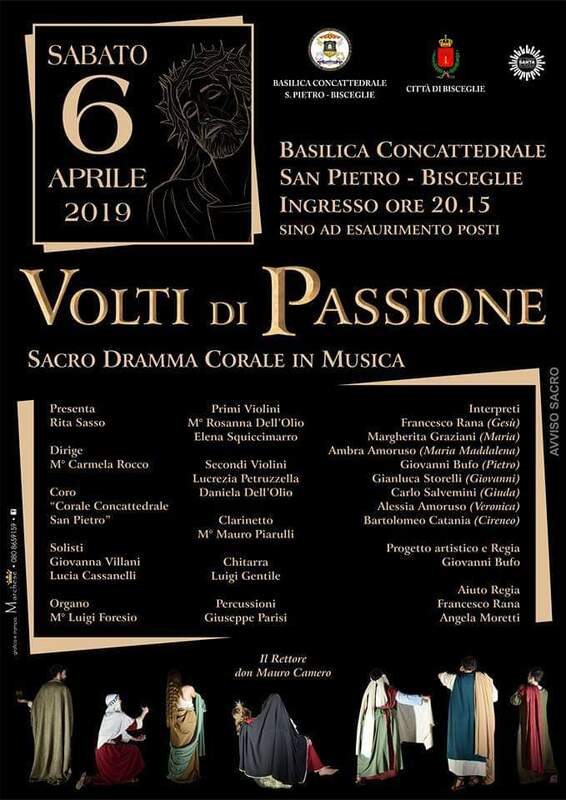 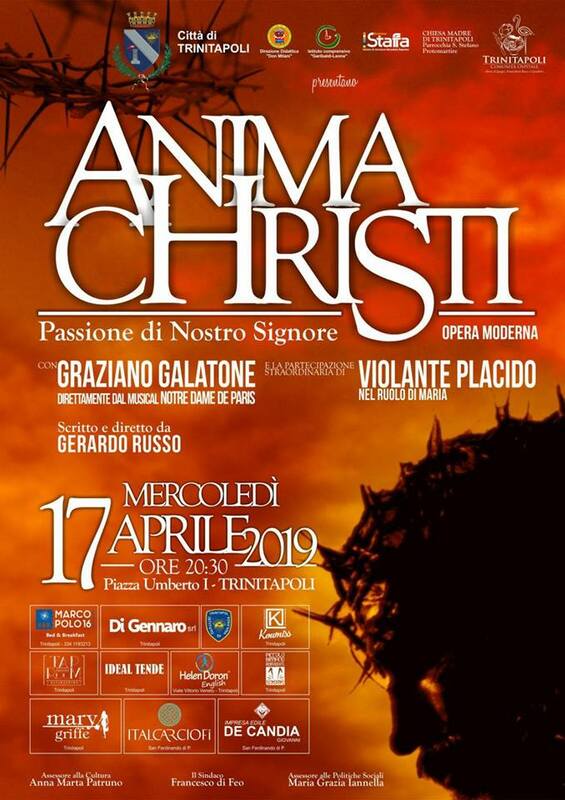 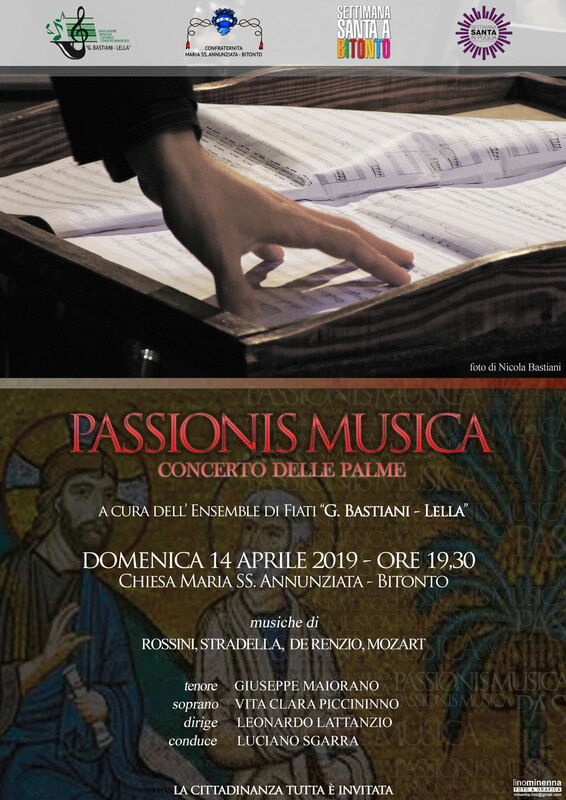 Archaic texts orally relayed, have songs about the passion in the Salento area; a gospel of the poor which is true to the texts but also with gestures and mime to help comprehension. . 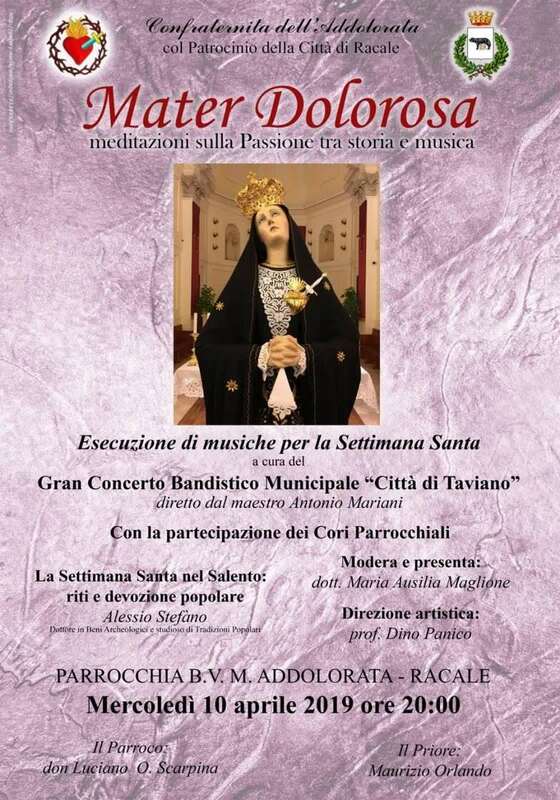 In the GREEK HELLENIC TOWNS OF SALENTO it is always more rare to see the ritual singing of the “passiùna tu Cristù” in Greek, which narrates the sufferance of the Madonna: the singers, carrying large branches ornated with ribbons, meadow flowers and sacred images, pass through the alleyways and streets of the town to sing the 66 verses requested for reward to the various spectators.